Everybody loves going on holiday. It’s a known fact that everybody looks forward to a well-deserved break when they go on holiday. It’s seen as some time to relax and unwind from the everyday stresses of work and your day to day lives. However, preparing for your holiday can be hectic. 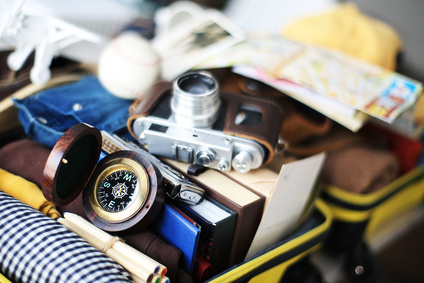 You need to ensure you have the correct time off of work, you’ve remembered all the essential paperwork such as passports & boarding passes, and you’ve packed enough clothes for your trip. Therefore, we’ve decided to put together a to-do list which you can follow when preparing to go away! When planning to go away, it’s essential to have your flights and hotel booked as soon as possible. This will ensure you get the flights and room you want at a great price, as prices tend to rise the later you book your holiday. Booking a holiday well in advance is also less stressful and can begin to look forward to your holiday earlier, knowing it’s all booked! Going on a shopping spree in preparation for your holiday is vital! Make sure to get a shopping list together! This list should consist of sun cream, some new tops, swimwear, shorts, etc. You can do this in two ways. Either begin adding a few holiday items to your usual shop, or get all your holiday shopping done in one go! Either way, going shopping for your holiday is really exciting! Having an in-date European health card (e111) is essential when traveling abroad. A European Health Card will ensure that if you get sick while on holiday, you are entitled to either free or supported health care. This card is very easy to apply for and is also free to get so make sure you get one before your holiday! This will ensure all your paperwork is all together and is already packed, ready for you to leave for the airport. The very last thing you need to do before you set upon your holiday is to check your home is secure. So many people will go on holiday and leave windows open & doors unlocked. This will make your home vulnerable and more susceptible to getting broken into. Double and triple check all doors and windows are locked, and be sure to have someone look over your property while you’re away! Be sure to unplug any electronics too as they could catch fire when you’re away, causing a house fire!